This was the year that Bruce Jones came to Halifax, and appeared at the Westin Nova Scotian Hotel. 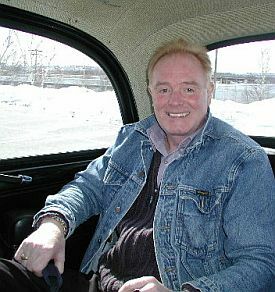 To the delight and amusement of over 600 fans, Bruce came out as "Les Battersby" and entertained the fans for more than 90 minutes. This included wearing his "pulling jacket" and flirting with female fans, going down into the audience and sitting with audience members. Fans were in tears from laughing and will not soon forget Les' appearance at the Westin.